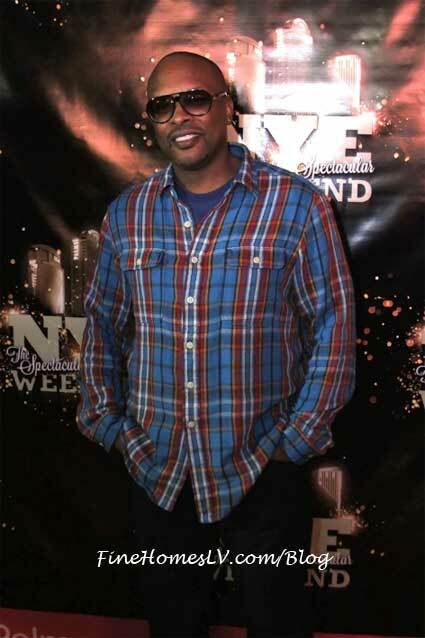 Kelly Rowland, Questlove of The Roots, DJ Jazzy Jeff and Chuck Liddell kicked off New Year’s Eve weekend at Palms Casino Resort in Las Vegas, Saturday night. The beautiful Kelly Rowland showed up at Palms for her special concert at Rain in skin-tight leather pants, a low-cut leopard-print cropped jacket and lace-up ankle boots. The former Destiny’s Child’s songstress posed for pictures and waved to screaming fans before heading into the packed nightclub for an exciting show paired with Rain’s pyrotechnic show and confetti explosions. After a quick outfit change, the R&B diva took the stage in a short gold dress with light blue pumps, trimmed with gold jewels and created an instant party by transforming the room into a dance explosion. The Houston hottie worked the stage as she performed her chart-topper “Motivation”, “Soldier” from her Destiny’s Child days, her Nelly duet “Dilemma” and the new David Guetta collaboration “When Love Takes Over.” Kelly shook fans’ hands and posed playfully for pictures during her flawless performance. 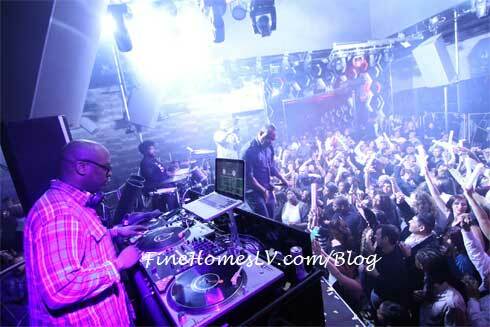 After her energetic performance, Rowland and a group of 15 sat at a table next to the DJ booth where they drank Grey Goose and Malibu Rum cocktails as well as Moët & Chandon Rosé and danced the night away while DJ Zen Freeman provided body-thumping beats on the turntables. 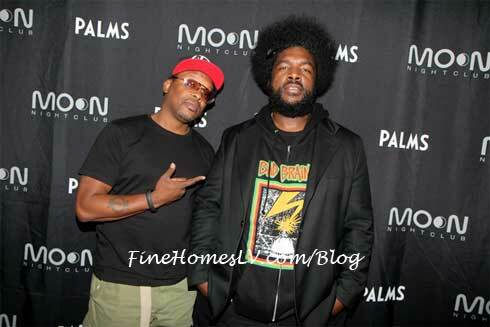 Nearby, Questlove of The Roots and DJ Jazzy Jeff performed a show that has never been seen before, at Moon Nightclub. 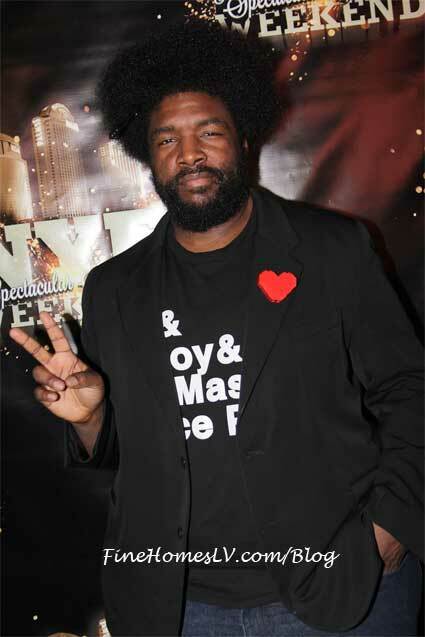 With Questlove on the drums and Jazzy on the turntables, the duo rocked the house with a unique collaborative performance. 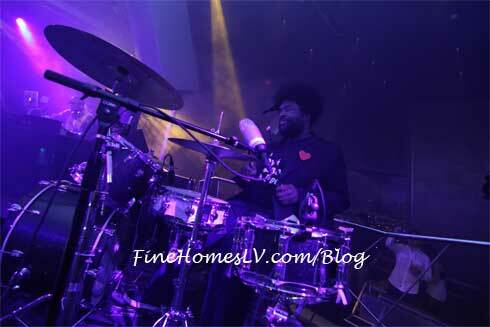 Questlove’s sonically inventive percussion skills paired with DJ Jazzy Jeff’s signature flawless DJ talents, made the ultimate dance party. 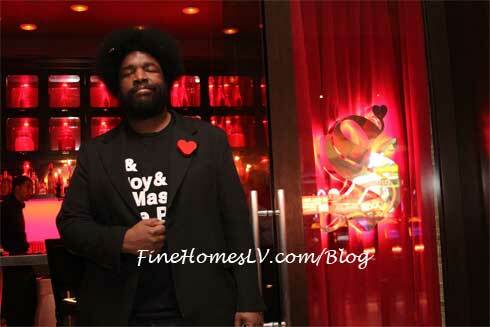 Prior to their performances, both Kelly Rowland and Questlove enjoyed Scarlet, Palms’ new sophisticated bar with an elaborate mixology program. Kelly also enjoyed dinner at N9NE Steakhouse where Chuck Liddell also was nearby enjoying dinner with a group of six friends.